Morning! It's one of my favorite months...the month of the Libra! Maybe I am biased but I love being a Libra, it's in everything I do. The balance, the creativity, the love of family, home and fun dinner parties I am the quintessential definition of this sign! 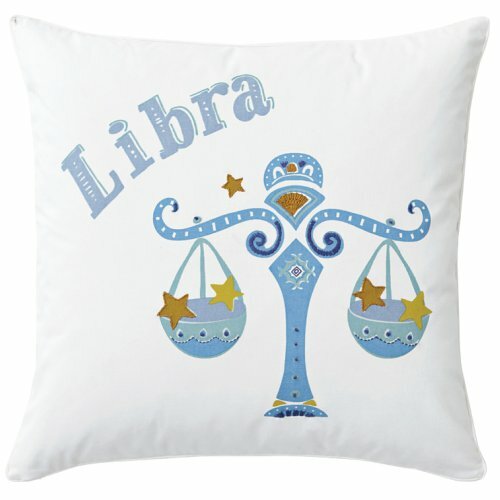 When I came across these adorable Zodiac Pillows at Serena & Lily I scanned my mind for someone about to have a baby! This pillow would look darling on a rocking chair or this print hanging on a nursery wall! The secret is out I love astrology but as they say....I take it with a grain of salt! This wouldn't be the first time I was called a "Social Butterfly"! Not a Libra? No worries there is a pillow for you too! Happy birthday month to you!!! How cute are those? Makes me think about who has a birthday coming up in the near future...I'm a Capricorn my self. Love Serena and Lily! 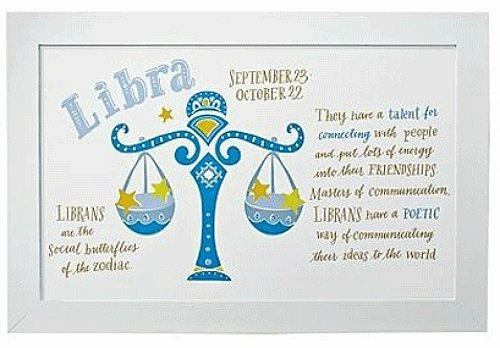 I am a Libra, too - and I love that poster so much and so true! 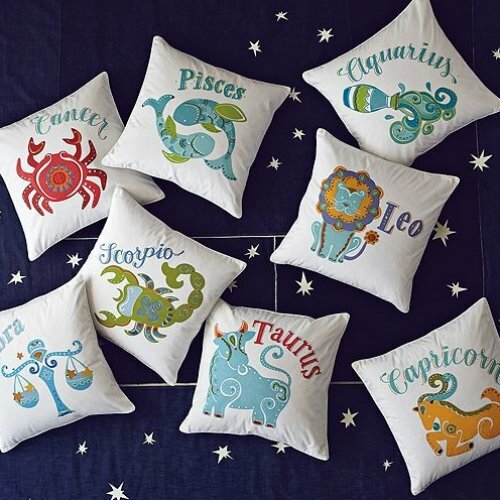 I love these astrology pillows, gorgeous and such an original idea. I think I will buy an Aquarius one ! Your blog is excellent. fabulous! i love all things libra. one of the traits is horrible at making decisions, and that is me to a t.
happy birthday friend!! 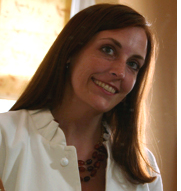 did you see my blog!? so sad! let me buy you a bday coffee soon! I'm a scorpio~ I like collecting these zodiac themes things too. My favorite one is a compact mirror i found by accident. they have libra too. I found it at Homeware shop. Love the Libran theme - considering I am one too! Happy Birthday to you!